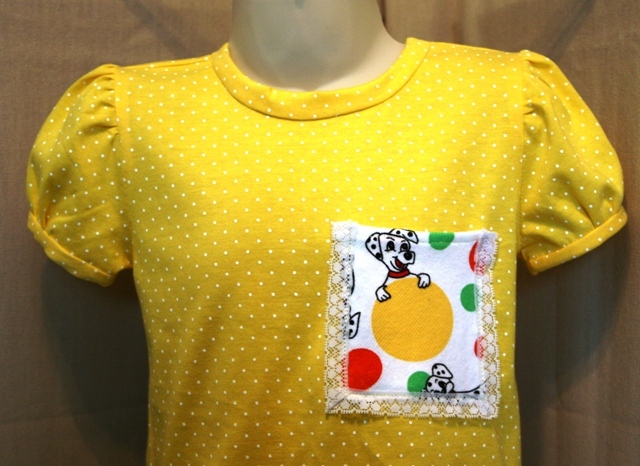 A hand made, girls T-Shirt in lovely soft, strretch jersey fabric which is yellow with white dots. 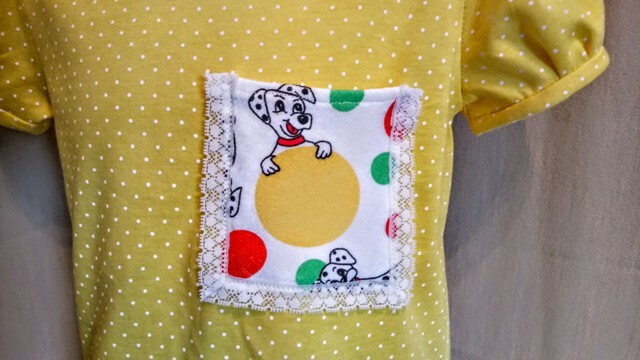 The T-Shirt has a round neck and puff sleeves and has a pocket on the front in a dalmation pattern, edged with white lace. A pretty top, bright and summery, easy to wear and fully washable and uniquely made. No-one else will have one like it. This will fit approx age of 3-4 years.